If you want to feel fancy without being fancy, take a look at the best luxury candles in the world to add a little extra something in your life. My parents never let me have candles in my room when I was growing up. I’m pretty sure they didn’t even light candles in the house except for fancy dinners. They were too afraid of the house catching on fire as if I could fall asleep with a candle lit and then the house would go up in flames. It makes sense, but it was so ridiculous that now that I’m an adult I buy so many candles to enjoy to make up for lost time. I just like for my room to smell nice without having to use a room spray, especially considering I’m allergic to a good majority of those anyway. I don’t really get along well with incense either. Candles have such a warm, inviting vibe that make spaces feel fancy and comforting. When the lights are all out and you have a few candles burning, it’s a nice vibe and warm lighting. It’s like centuries ago when people would sit at their desks and write by candlelight. It’s even better when the candles smell nice and make your home feel glamorous. The most popular candles tend to be Bath and Body Works since their three-wick candles are often on sale and there’s such a wide variety of scents. I wonder if any of those are on our list of the Best Scented Candles in the World. The scents change by season, so there’s always a time of year to look forward to if you’re into their candles. Of course, people swear by Yankee candles as well considering the jars are massive and the burn time is really long. If you’re looking for something a little fancier, this list of best luxury candles in the world can be your guide. Expensive candles have some extra added benefits, mostly the fact that you can brag about how much a hunk of scented wax was. They make great gifts for people who are hard to shop for since they’re fairly universally pleasing. Kate Middleton swears by Jo Malone candles; however, there aren’t enough online reviews from our sources to justify its place on our list, so let’s just shout it out and give it an honorable mention now. In order to find the best luxury candles, we took a look at Candle Delirium and narrowed them down based on ratings from Influenster. The reviews are connected to popular sites, like Amazon. The candles on our list have at least a four out of five-star rating. We ranked them by rating, so the highest rated candle is at the top of the list. Get your matches ready for the best luxury candles in the world. 10 Best Luxury Candles In The World 10 Best Scented Candles in the World Archipelago luxury candles best candles reviews best smelling candles ever Cire Trudon luxury candles Diptyque luxury candles DL & Co luxury candles How candles are carved? How candles are made? Illume luxury candles List XFinance Malin+Goetz luxury candles most popular candle brands most popular scented candles Nest luxury candles scented candles that actually work Slideshow Trapp luxury candles Voluspa luxury candles Votivo luxury candles what brand of candles are the most fragrant when burned What candles have the strongest scent? Which candles last the longest? 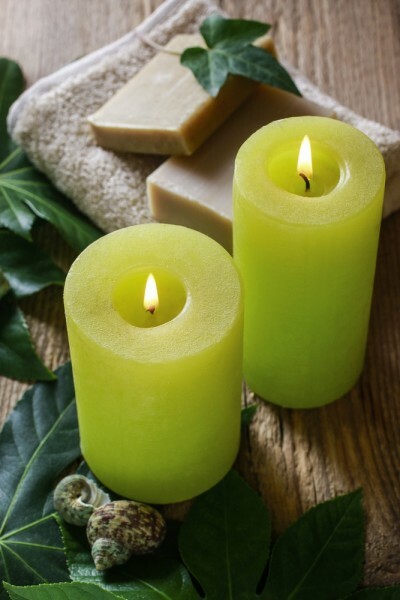 Why candles are good for you? Why candles are good?